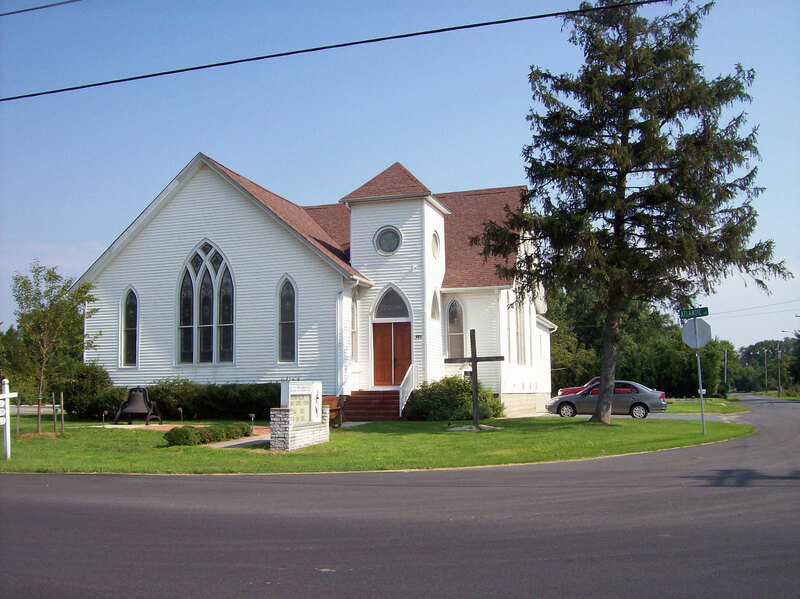 The picture you are viewing is the building that is known as Millville United Methodist Church (MUMC; the little church on the corner with the big heart). This structure is located in Millville, DE, at the intersection of Atlantic Avenue and Club House Road. However, MUMC is really the people who worship GOD in or because of this building and want to know more about the teachings of JESUS. Some may attend on a regular basis, some may attend occasionally, some may attend when visiting the area and some may attend via a recording because they are unable to travel. Regardless of when you attend, MUMC looks forward to seeing you again and thanks you for the shared fellowship. If you have not visited with us before and are looking for a religous experience, we would love to have you join us whenever you can. Everyone is welcome to any and all of our activities. The building is small but MUMC is LARGE. AGING FAITHFULLY - Periodic activities in Wesley Hall to interact with our brothers and sisters in Christ while sharing fellowship. BEACH MINISTRY - Wednesday morning prayer on the beach. FOOD BANK - Collection of food for those that would go hungry. LIFE FORCE - Social get-togethers for the special needs adults in the area. LOVING CARE - Short term assistance after sickness, surgery or an injury. MISSION MINUTE - A brief discussion of a mission that may be world wide in nature. PRAYER CHAIN - Providing as much prayer as possible in a short amount of time for an immediate need. PRAYER LIST - Providing a lot of prayer for an ongoing situation. PRAYER SHAWL - A ministry where individuals share prayer and fellowship while creating shawls to be given in prayer to those in need. There are times when interest in or information about a new mission is required in order to determine its viability. These requests are in the form of an ANNOUNCEMENT that is posted for a period of time before the mission becomes a reality.